Cary, NC – Downtown Cary is growing its profile as it attracts more restaurants and other food producers. And if you were traveling through the downtown area recently, you may have seen signs of a new resident moving in as the process starts for Annelore’s German Bakery to open in Cary. 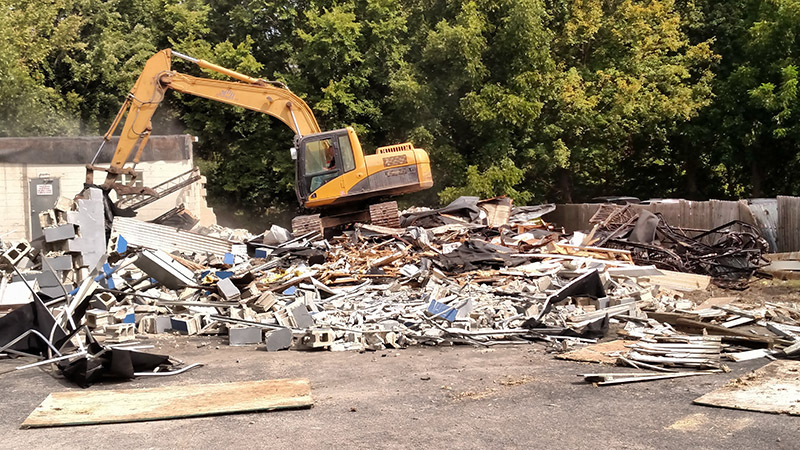 Crews got to work demolishing the old Carolina Mustang at 308 West Chatham St. on Wednesday, August 31, 2016. The auto part store moved to the adjacent property years ago and the land was bought by Annelore’s German Bakery shortly afterwards. 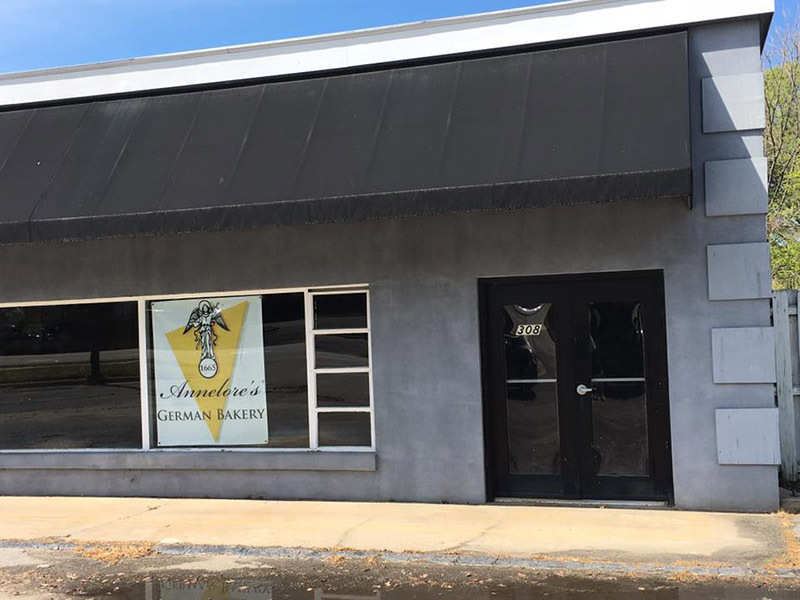 While there were initial plans to use the existing building as the bakery, clearly that plan has changed and construction will start on a new location for the Raleigh-based bakery. The plan for Annelore’s was first announced more than four years ago. Annelore’s German Bakery currently has one store in Raleigh on Agriculture Street but its roots go far back, even before the formation of the German state. Annelore’s boasts techniques that reach back to the 17th Century. While Annelore’s makes German baked goods from scratch using old-world techniques, its products are somewhat modernized through their use of local fruits, spices and honey. Details about the coming bakery are still being settled but Annelore’s has appeared at many Cary events, from Chatham Street Chowdown to Lazy Daze to, of course, Triangle Oktoberfest at Koka Booth Amphitheater. Story by staff reports. Photos by Michael Papich and Lindsey Chester. Stories on CaryCitizen are sponsored in-part by Elegant Stitches in Waverly Place. I remember Annelore’s baked goods being sold first at Cary Downtown Farmers’ Market in the early 2000s, before they branched out to Raleigh FM & Western Wake FM. It would be lovely for them to have a shop. I still remember the apple custard cake. Annalore’s is a regular vendor at the Cary Downtown Farmers Market and has been for at least two years! Be sure to come by the Market and see Annalore;s Bakery.